StudioPixelated is the boutique consulting and production agency directed by Katie Hellmuth Martin located in Beacon, NY. Katie has been in digital marketing since 2005, earning her years of experience designing and producing ecommerce websites for small and large businesses, as well as advising on and producing content for company blogs and websites to improve their SEO, attract new customers, and help those readers fall in love with the brand. Katie is the publisher of A Little Beacon Blog and co-founder of Tin Shingle, where she has had the pleasure of working with many different kinds of businesses and challenges. Katie does work with businesses to help them market their business through newsletters, social media, blogging, and print methods to get the word out. She can also strategize improvements for your website with streamlined ways to increase sales. How would you like to get started? What do you need? Click on a package below to learn more and get started. Katie co-hosts live, weekly Training Webinar TuneUps at the company of which she is a co-founder, Tin Shingle, to help business owners build buzz and get the word out about their business. These are free every Wednesday at 12pm EST. Recorded versions are available here and are free to Tin Shingle members. For a more personal experience, you can have your own private training TuneUp session with Katie. 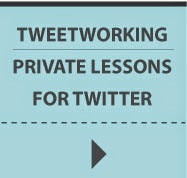 INCLUDED: Have a meeting with Katie for 1 hour either by phone, Skype/GoToMeeting. If you are local to Beacon, NY, then Katie can meet you in person. Katie will create and maintain a set of Meeting Notes to capture what you covered during the session. Additionally, Katie will create an Agenda for upcoming projects and strategies you would like discuss with her in the future. This will be in a shared Google Document so that you can both see it in real time. Designing your own website? It's a big project, right? Katie has been producing website designs since 2005 and she would love to help you plan yours. Talk with Katie about strategic pages you need on your website to help convert readers into clients and customers. Identify key areas on your website that can help a reader learn more about your offerings, as well as trust you. Do you have a lot to do, and you feel like it is all over the place? Katie can help you organize what you are doing, as well as show you how to use certain websites and apps that can put the power of a newly organized life in the palm of your hand - literally. Learn how Google works and what it is looking for. See your business website the way that Google does, and the way that real people do, and then find ways to improve the experience for your readers. Google's main goal is to give people the best websites. If your website is not currently ranked as one of the best, Katie can help you change that with a few simple strategies. 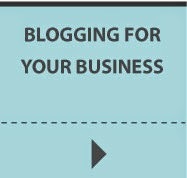 Yes, your very own blog for your business! All you need are strategies on what kind of blog posts to write, and how to share and promote them to more people looking to buy what you sell. Having a blog is crucial for two reasons, and is something you can very much do! Google can find your business better. People can get to know your business, and trust your expertise. So many options...so little time! With your social media, where should you start? Where can you be doing better? Are you fresh out of ideas? One meeting with Katie will jump-start your strategy so that you can get found by more people who want what you sell. 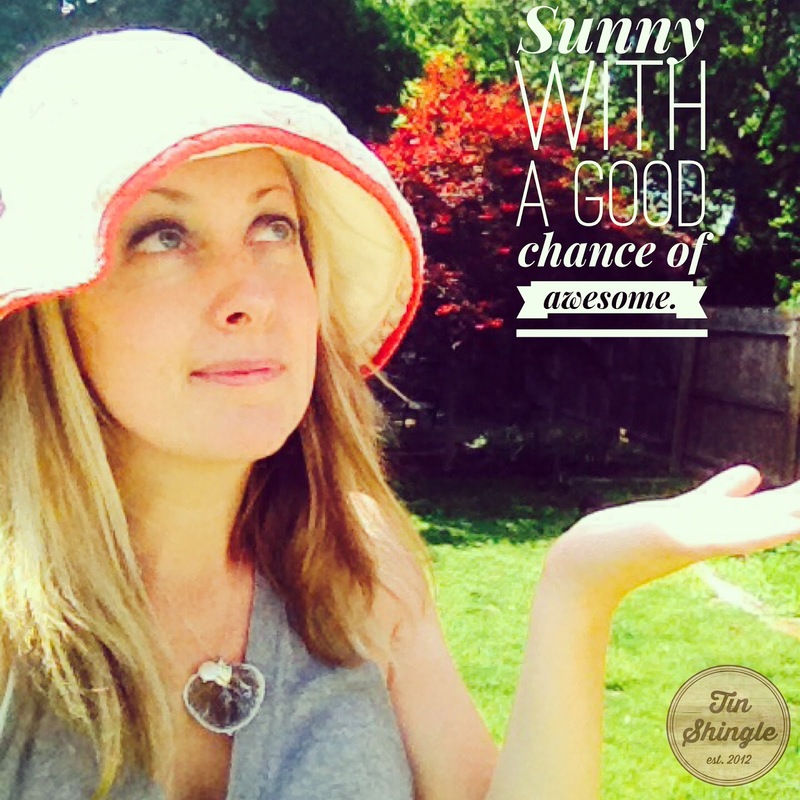 Are you overwhelmed by the idea of a newsletter? Well don't be because it is still the best way to reach your customers and fan base. Yes there is Facebook, but so far, nothing has replaced the inbox. Discuss what to say to your subscribers, and how to market what you sell to help people buy it. Discounts available when purchased in bulk. For direct access to Katie for feedback to your work in between your sessions, you can buy a Followup Email Package where you will have an open door to Katie's email for an hour per package. When your package is up, you will be alerted and you can start a new Followup Email Package. Emails can take anywhere from a few minutes to read and write, and some involve more time. This package also includes reviewing your work if you are changing your Facebook Business Page, your website, or if you wrote a blog post that you want Katie to review. To get started, please email Katie@studiopixelated.com to set up your schedule! The Blog Kickstarting package is a program to train you to think like an editor or a blogger for your own business - so that you can do the reporting on new developments, exciting announcements, and the behind-the-scenes happenings at your company that make it special. Blogging is crucial to businesses who want to rank well SEO-wise in Google and other search engines, as well as those who want to lock in customer loyalty. Take a look at these business blogs, and you'll see how they not only show off the accomplishments of the business, but make it possible for current and future customers to build on an emotional connection with the brand, thus establishing customer loyalty: Jeni's Splendid Ice Creams and Blue Hill Farm. Over 3 sessions, we meet virtually via phone and computer to share computer screens. Once you book this package, you and Katie will schedule your sessions. SESSION 1: We will establish what the goals are for your company so as to see how to translate that in different blog articles. We will also cover the technical aspects of blogging and walk you through exactly how to use your blogging platform, from uploading a picture to making a link. If you don't have a blog yet, we will set one up together on blogger.com*. *This blog will be a most basic setup using only the design options in a template you select. Should you need a blog with more design, we can recommend you to a designer or you can have your web team create one. SESSION 2: Based on the sales goals of your business, we will make a broad outline of at least three themes that you can blog about. Once you have themes that you know what you will cover on your company blog, blogging becomes a lot easier. You will publish at least two blog articles on your own before Session 3. This is the fun part where we get to be creative! SESSION 3: We will review the two blog articles you wrote and critique them for SEO effectiveness and for establishing the tone/personality of your business. This session helps define your brand's tone on your company blog. We will study your Google Analytics for both your website and your blog to learn what more your readers want to know about your brand. This helps get more ideas for what to write about. 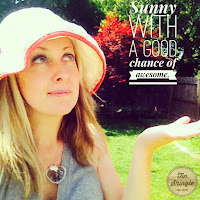 This Blog Kickstarting Package is best for businesses who have not started blogging yet. If your business has a blog and needs to bring it to the next level, or needs a ghost editor to write the blog posts and think of ideas and themes for you, please look into our Digital Marketing Strategy Package. This is not a package for extreme technical help under the hood. Should you need more advanced help in using your blog, we can schedule a session in the Digital Marketing Strategy Package. First your web pages must rank for great terms. Is it ranking at the top of Google and other search engines? Great, pages are ranking! Your website is #1! But are people clicking? Great, people are clicking! But are they buying what you sell? First Phone Call: You and Katie will speak about the goals of your website, and if those goals are being met. This sets up what Katie will study in the analysis. You and Katie will discuss the basic principles behind SEO. You and she will discuss your business and how it works, as well as which keywords you want to rank for, as well as your competition. Second Phone Call: You can Katie will discuss the recommendations made in the SEO Audit and answer any questions you have. 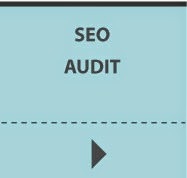 You will be sent an SEO Tracking Sheet that helps you monitor SEO improvement on your website. Katie will study the past behavior of your traffic patterns at your website. Hopefully you have Google Analytics enabled. If you don't, you can have your web team install it, and the Audit can take place two weeks from then. However, depending on the needs of your SEO Audit, we may be able to move forward without Google Analytics. Hot Spots of your website and whether or not they are using the most effective keywords. Hot spots include page titles, body copy, images, and navigation items. Placement and overall writing of pages of the website. Based on the findings of the Analysis, Katie will write detailed recommendations for each page and/or area of the website that could use improvement. You and she will schedule a phone or video meeting about the Recommendations. 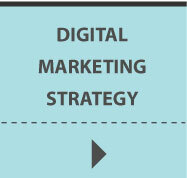 Strategy work after this Audit can happen with purchase of a Digital Marketing Package. Contact Katie at katie@studiopixelated.com for a recommendation on which package is right for your business. Then select a plan from below, and Katie will email you to kick things off! Questionnaire. You will be sent a questionnaire where you fill in the blanks. This is to prompt you to think of accomplishments you may not have considered, or that slipped your mind. Interview. You and Katie will have a phone or face to face interview via GoToMeeting. In this interview, she will get a sense of your accomplishments to begin writing your bio. You may send her any past bios you have used as a starting point. First Draft. Katie will write your bio and submit it for you to review. Second Draft. Based on your feedback, Katie will edit your bio for final sign-off. Complete Bio. Your bio is done. 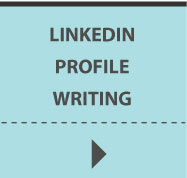 Publish it to your LinkedIn profile! Headshot Help. Need help picking your headshot? Katie can review possible headshots, even if they are at a family party, and crop your head out. Or, read this article on how to take a headshot at home (super easy). If you work in a firm where your staff need to improve their bios, we can write them all using this same process. Keep in mind, a person's LinkedIn profile reflects them as an individual, and will certainly feature your company as where they are doing their top preforming work, but will include past work and accolades.